Vodafone is to trial the use of fifth generation mobile technology or 5G as a way of providing home broadband access to people living in rural Ireland. The telecom company is to conduct tests in Roscommon, Gorey, Clonmel and Dungarvan covering 20,000 premises. Vodafone says the aim is to explore the possibility of operating a dedicated rural wireless network where customers are connected to the internet on a Vodafone wireless broadband connection. The trials are likely to be watched closely by the government, amid growing questions about whether 5G would offer a better alternative to the fibre optic connectivity chosen for the National Broadband Plan. 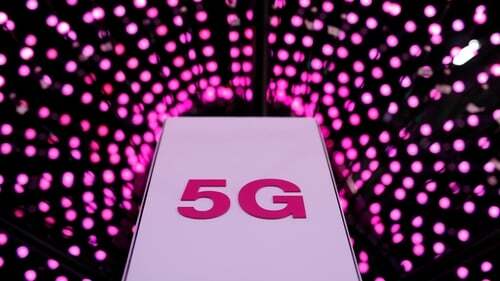 Some experts say 5G, which will be able to offer speeds of up 1Gbps, would be quicker, simpler and cheaper to install than running fibre optic lines to all 542,000 premises requiring a connection. The fixed wireless trial will use Ericsson equipment and the 3.6GHz spectrum band. The dedicated network could potentially allow customers receive peak download speeds of up to 500Mbps, increasing to Gigabit speeds in the future Vodafone says. "Connectivity and connected technologies are impacting every facet of our lives today and there is a huge demand all over Ireland for high speed broadband access," said Max Gasparroni, Vodafone Ireland's interim CTO. "Vodafone is driving forward with our ambition to create a gigabit society in Ireland, and this trial will allow us to look at how we can enhance and extend broadband access to our customers in the most rural parts of the country," he said. Last month, the chief executive of Vodafone here said 5G mobile technology could be used as a complementary rather than a replacement solution for bringing high speed broadband to rural Ireland. Anne O'Leary was speaking as the company launched its first live 5G network site in the Dublin Docklands.